As Joanna’s only son graduates and her marriage stumbles to an unexpected close, an old friend drags her to Paris to drown her sorrows in wine, museums and men with accents. Can the City of Light ignite a spark in Joanna or only torch songs from her younger days? 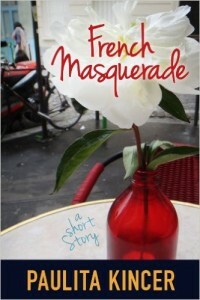 A short story from the author of “The Summer of France” and “I See London I See France” .